The rest of the game takes place in Tanner's head, which allows for some great gameplay mechanics. Driving around San Fran after the accident, Tanner accidentally discovers that he can Shift. He's completely freaked out by the ability, which lets him fly into the sky, before choosing any driver he can see, and completely take over their body. If they have passengers, they have no idea. They see the same person, but the personality is all Tanner. Let's be honest, the first time anyone hears about the Shift ability, they don't understand it. I didn't; I truly hated the idea, and expected the game to be a complete failure. But it's not like that. It's amazing. It isn't about skipping ahead to win the race, not at all. It's about creating distractions, running opponents off the road, and blocking junctions with buses and fire trucks. And that's just how to use Shift in races. Tanner also decides to use Shift to help with his detective work. And there are some really cool uses of it throughout the game. An early mission sees a scientist in the trunk of a car, who manages to keep her cell phone hidden and make a call to the police. She doesn't know where she is or where they're taking her, so it's up to Tanner to find out. He focuses and luckily finds the right person. Taking control of the woman, he punches open the trunk, which gives him a few seconds now and then to see the location. He then switches back to his real body, and makes his way there. It wouldn't be possible without Shift, and it really opens up some interesting and innovative gameplay mechanics. 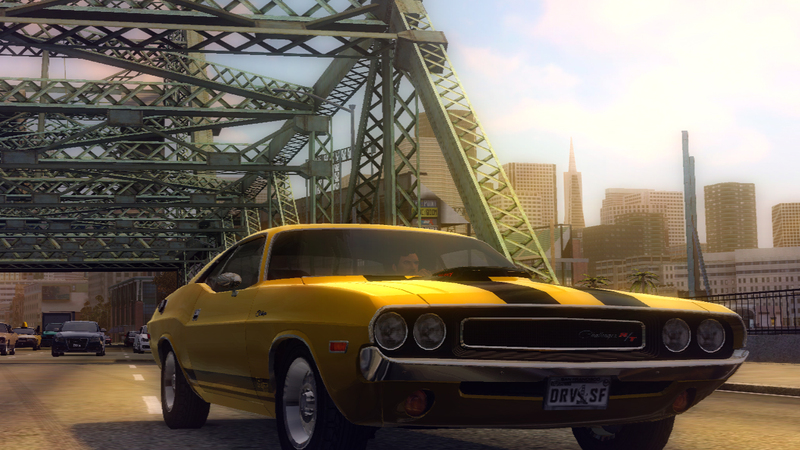 The driving in San Francisco is based on the 70s chase movies, such as Bullitt and Smokey and the Bandit, and it really does feel like it. The back end of cars swing out as you take corners, and the streets are littered with boxes to drive through and makeshift ramps to take your car skyward. Simply driving around the city aimlessly is incredibly fun, and the soundtrack is very cool. The songs are an eclectic mix of fast, rock songs, and energetic jazzy numbers to again, take you back to the 70s. The story is well fleshed out. It's ridiculous and absurd, but that's the only way it would work. A serious, emotional rollercoaster would not work with the insane driving and Shifting. It is a nice addition to the genre, and more driving games with decent plots would definitely be a good thing. The story is definitely an important part of the game, and Ubisoft certainly thought so too; you can tell that a lot of effort has been put into not just the story, but the characters. The characters are presented in pre-rendered CGI animations. The characters look amazing, from the stubble on the chin to the pores on their noses, they are astonishingly detailed. The voice actors also give credible performances, and the script is decent enough. It can be very cheesy at times, but hey, it's inspire by 70s movies! Of course it's going to be cheesy. Aside from the main story, there is a lot to do in San Francisco. Scattered throughout the world are dares, activities and challenges, along with the collectible movie tokens. The dares are short, fun blasts of high octane driving. There are a good few variations of dares, ranging from driving over a certain speed for 20 seconds, to jumping a total of 300 metres in a minute, to driving 5 cars at a certain speed within a set time. Activities are a little different than dares; they are usually longer, with a set destination. With dares, you can literally complete them wherever you can. Activities, such as races or object smashing, you usually have a set route. Racing is standard, get to the destination ahead of the other races, whilst passing through every checkpoint. Open races are a little different, as the checkpoints are sparse, giving you free reign of the city in between each one. As long as you get there, it doesn't matter how. The challenges are variations on the activities, with set vehicles and bigger rewards. The movie challenges are different though, and they are very cool. Collect movie tokens out in the world and for every ten, you unlock a movie challenge. 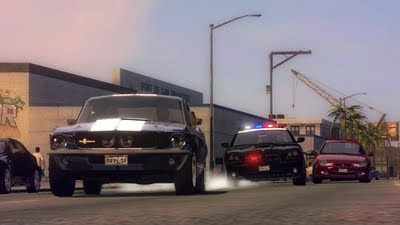 These are reenactments of famous movie chase scenes, with no boosting and shift; just good ol' driving. There is clearly a lot to do in San Francisco, and not only will it take a while to do everything, but it'll be damn good fun the entire time. The online modes of Driver: SF are surprisingly good, as the Shift mechanic offers something that literally no other racer can. Take Tag for example, a simple game that everybody should be aware of. The game starts with an NPC controlled car which has the tag. You must hit the car, by any means necessary, to acquire that tag. The first player to hold the tag for a total of 100 seconds, wins. Pretty standard stuff. That is, until you add Shift into the mix. Chances are, you won't be able to catch the tagged player. It's possible, but not probable. You're in a car with the same power so it would be a tenuous game of cat and mouse, nobody getting closer to or further from each other. So what to do? Shift into an oncoming car, and try to hit the tagged player head on. Choosing the perfect car is so much fun! You don't want one to close to them, because you might be too late to swerve into them. Too far away though, and they have time to alter their path and avoid you. The satisfaction of a successful Shift and tag is immense. There are a decent number of online modes, such as Attack and Defend, Tag or just simple racing. 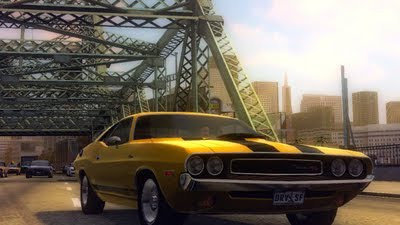 Let's be honest now, nobody thought Driver: San Francisco was going to be excellent. Perhaps the majority thought it would even be terrible. But it's not. 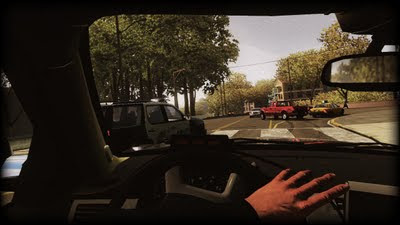 Against all odds, Ubisoft have given the Driver series the spark that it needed. It is an adrenaline fueled racer, with a decent enough story, innovative and amazing new gameplay mechanics and a crap load of licensed cars, which all look superb. The difficulty curve can sometimes be unforgivably steep, but the pros vastly outweigh the cons. If you're a fan of the series, you'll love it. As will fans of driving and open world games in general. So that's a lot of boxes ticked for a lot of people.